As your little one turns nine, there will be a lot of changes that he will experience. This is why choosing the right toy is essential. You can’t give him something that’s too easy as it will bore him. You also can’t give him something too complicated as it will frustrate him. This is especially true for boys. Male children at nine need the right things to play with that help foster their growth. 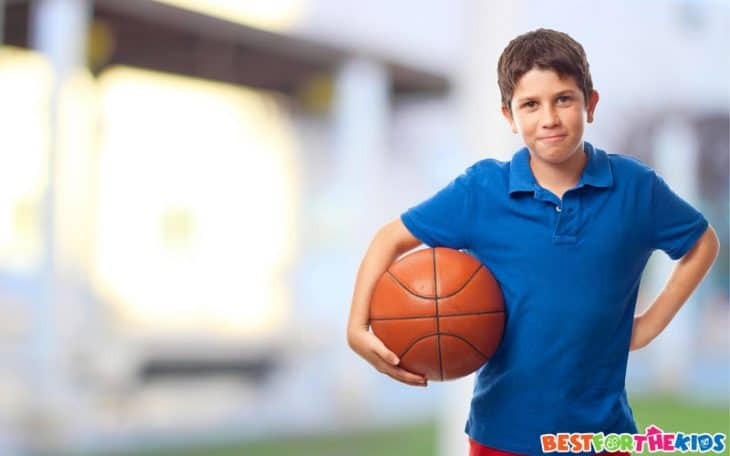 By finding the best toys and gifts for 9-year-old boys, you can be sure that you’ll be able to keep your little one happy, healthy, and thoroughly entertained. To help you, we’ve rounded up 20 of the best products that you can give as gifts to kids at this age. Check them out below. Boys are never too old for make-believe games as they always find a way to enjoy such them at different stages of their lives. 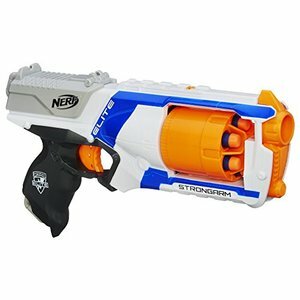 Nerf blasters are the best choice for grade school to middle school kids as they can really enjoy the experience with these guns. These blasters are more sophisticated in their design and construction, making them the perfect gift for a 9-year-old boy. What's Great About It: Despite the many controversies that surround toy guns, a number of experts have found that toy guns are good for kids as they can teach them to control violent impulses. Playing make-believe games with these toys can help your son differentiate between their fantasies and reality. With 9-year-olds being able to get engrossed in an activity for hours on end, it can be the best time to introduce them to the budding STEM area of robotics. 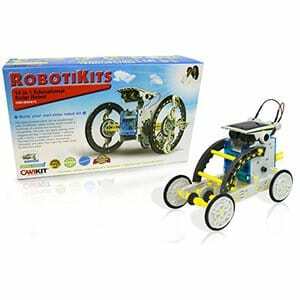 Doing this is made easier with toys like OWI’s 14-in-1 solar robot as these products are fun and educational. There are lots of great things about this toy robot. It has 14 configurations and doesn’t need batteries as it comes with a solar panel. Your child doesn’t only get to learn about the basic concepts of robotics with this toy; they also get a good glimpse at the benefits of renewable energy. What's Great About It: This toy will teach your little man a lot of new concepts while introducing them to the field of science, which they may find interesting. Remote-controlled vehicles are always a favorite for boys, but it can get annoying to use them outdoors where the terrain is not always kind on the small wheels and tiny motors. 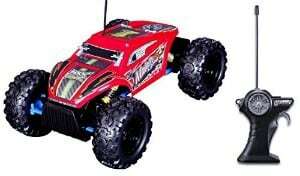 Introducing the Maisto R/C Rock Crawler Extreme. This is the RC version of a monster truck, with 4-wheel drive and three motors that can take on steep inclines and other hostile terrains. What's Great About It: This toy can easily foster your kid’s imagination by giving them a great tool for their make-believe play. It can also enhance their spatial intelligence as well as fine and visual motor skills. 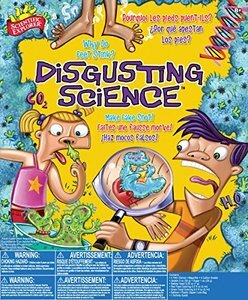 If your kid finds every gross thing about the body extremely funny, they’ll love this Disgusting Science Kit. Not only will this let kit them recreate all the icky things the human body produces, but it can also easily demonstrate to them how the body makes them. It comes with super simple instructions and the materials to get started. Just make sure to keep an eye on your child as adult supervision is required with this toy. What's Great About It: It makes science a lot more fun and enjoyable for your little one. It can also help them discover how amazing the human body is, which can make them curious enough to pursue the science field in various ways as they get older. Exploring their artistic potential is a great thing at nine, since kids at this age can now focus on specific tasks. A fun set of these Mr. 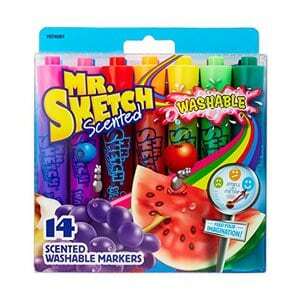 Sketch scented, non-toxic markers can really help your son in expressing his creativity. The best part about these Scent Markers is that each color has a unique scent, allowing your kid to associate each color with a corresponding smell. This can give your kid a great sensory experience, which is very important for their growth and memory skills. What's Great About It: Not only will this kit foster your kid’s creativity and imagination, it can also help them create fond memories of their early artistic pursuits. As scent is a strong stimulant, this Mr. Sketch product can really make a good mark on your little one. If there’s a toy that adults will love as much as their kids will, the Ozobot 2.0 Bit is it. This technologically-advanced toy is one of the smallest programmable robots in the market at roughly 1 inch in size. You can make it dance, race, move in circles and so much more. With the help of its app, you can control this nifty little toy in a variety of ways. 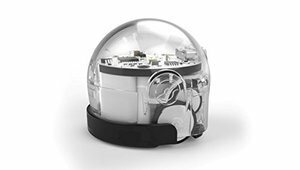 What's Great About It: The Ozobot 2.0 Bit is a great way to introduce the fields of STEM and coding to your little one. You’ll be surprised at how easy and enjoyable they’ll find coding with the help of this toy. 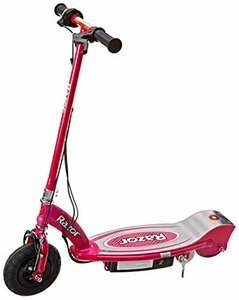 While we’re well aware of the many amazing benefits of a manual scooter, the Razor E100 Electric Scooter is a great gift idea for a 9-year-old as it’s a mobility toy that they can learn a lot from. This scooter uses a rechargeable battery to run and can go as fast as 10 mph. It will definitely let your kid cruise around the neighborhood in style. 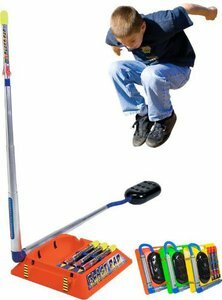 What's Great About It: This toy may not offer the same amount of physical activity as a push scooter, but it is a great way for your child to learn and practice his balance. It can also be a great teaching tool for your child as it will require him to be responsible enough to remember to charge the unit if he wants to use it regularly. Want to get your kid a modern board game that’s like no other? Check out Think Fun’s Gravity Maze. This unique game will require your son to build a path that will carry the marble to the Target Tower in the shortest possible time. It may sound simple, but the elements of the game make it more challenging and exciting. The 60 challenge cards will definitely put your kid’s wits to the test, making this board game a great product that combines entertainment and education in one fun package. Your son can also play it alone or with friends, making it a highly versatile game that everyone can enjoy. 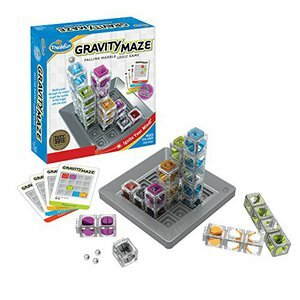 What's Great About It: The Gravity Maze is without a doubt an educational toy as it will challenge your little one’s critical thinking. Any child who adores puzzles will have a blast playing with this set as it will stimulate their spatial intelligence, problem-solving and planning skills. A lot of kids love magic and are very curious about how illusions and sleight of hand work. What magicians do can really excite your young man, so why not give them a chance to perform the tricks himself. 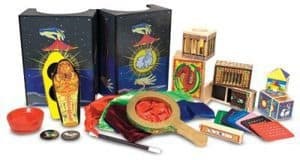 The Melissa & Doug Deluxe Magic Set is an excellent starter kit for a budding magician as it is packed with great tricks that a young boy can quickly master. At the age of 9, kids are ready to explore their athleticism. This is why giving them a chance to try out different sports is essential if you want to foster your little one’s interest in physical activities. 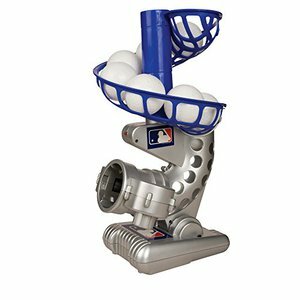 This makes the Franklin MLB Pitching Machine a great gift option as it can be used to get your kids started in baseball. While this item isn’t exactly a toy, it’s still a very nice gaming device that will eliminate the need for a pitcher if you want to hone your kid’s skill in batting. What's Great About It: This product allows your kid to play baseball alone and can help enhance his motor skills, coordination, and confidence. 9-year-old kids love to play in groups, but fights are inevitable. If you want to encourage fair play without eliminating the fun aspect of their games, the Active Dodge can be a great gift for your little one. These are basically 2 sets of Velcro vests and soft balls that will let them play dodgeball tag. The balls will stick to the vests when hit, so no one can claim that they weren’t hit. It’s safe and effective, letting your kids have a blast. What's Great About It: There are lots of things a kid can learn from running around with peers. 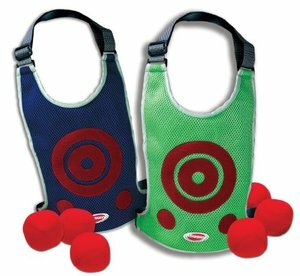 With this product, though, they can also learn how to play fair and time their throws. 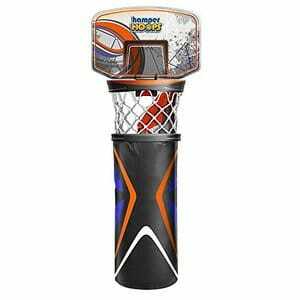 Their reflexes and hand-eye coordination will be enhanced through the use of this product. Minecraft is basically the virtual version of LEGO since both are brick building games that let the players’ imagination soar. So if you let your 9-year-old get their hands on this Minecraft game, fun will surely ensue. 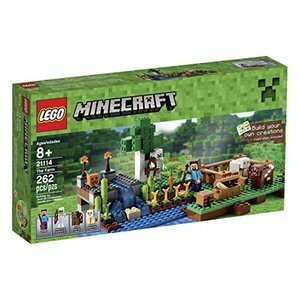 This set is composed of 262 blocks that can easily create a Minecraft world, so it can be a great addition to your little one’s growing Lego collection. What's Great About It: Lego and Minecraft both foster your child’s imagination. Both can also improve their problem-solving skills and spatial intelligence. If you’re the type of adult that likes to put the “fun” in functional, the Hamper Hoops of Wham-O will be the best gifts you can give to 9-year-olds. Not only will you add a touch of youthful whimsy to your boy’s room by introducing a fun, sporty element to it, but parents will love this functional gift too. What makes this a great gift option is the fact that it will make putting dirty clothes away fun for kids. Instead of just placing their used garments into a hamper, they can now shoot hoops with them. With this product, boys won’t have dirty clothes lying around on the floor. What's Great About It: It makes tidying up fun which can help develop a good habit of putting their dirty clothes away. It can also help enhance their gross motor skills. The best gifts adults can give to young kids are the ones that encourage their interests. That is why this Amscope product made it to our list. 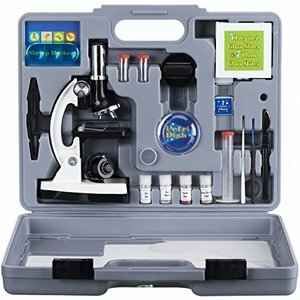 This kid's microscope kit can really foster your little one’s growing love for science. Complete with a microscope and slide samples, your child will get the best introduction to biology with its help. What's Great About It: It’s a very educational toy that can help your son learn more about science. 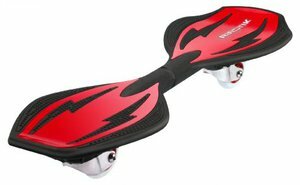 If skateboards don’t sound like a safe toy for your 9-year-old just yet, the Razor RipStik Ripster can be a great alternative that will still let him enjoy the activity of riding a board. This skateboard-like product is designed to be slip-resistant, so you don’t have to worry about your kid getting injured. As it’s also shorter than the original RipStik, it can be a better choice for young kids as this board is more maneuverable for smaller people. What's Great About It: This riding board will teach your child balance. Riding this toy can also strengthen his core muscles. 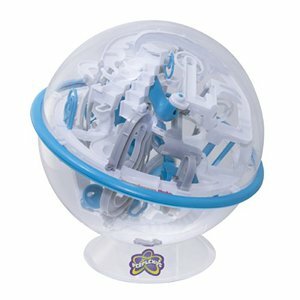 For a toy that will wow your 9-year-old at first glance, check out Spin Master Games’ Perplexus Epic. This unique puzzle game will not only make your child curious with its original design, but also because it offers a great and challenging maze. With 125 challenges, this toy can really capture your child’s attention and get their minds working. What's Great About It: This toy will train your son's problem-solving skills and enhance his critical thinking. His hand-eye coordination will also be practiced during play. Another excellent board game that’s both fun and very mentally stimulating is the Laser Maze Logic of Think Fun. 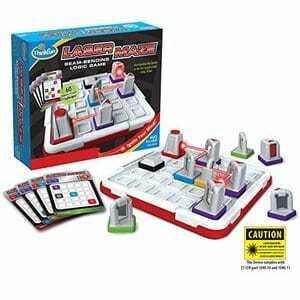 Your son needs to solve the challenges on the cards that come with the set by positioning the mirror blocks into the grid and creating the right laser pattern needed by the challenge. What's Great About It: Sequential reasoning, problem-solving, planning, and strategic thinking are just some of the things this game will sharpen. At 9, your little one might not be interested in getting serious about basketball if he has to use a kids net. So why not go all out and get SKLZ’s Pro Mini Basketball Hoop? This product looks a lot like what the NBA uses, except this one is more mobile, cheaper, and can be mounted just about anywhere around the house. 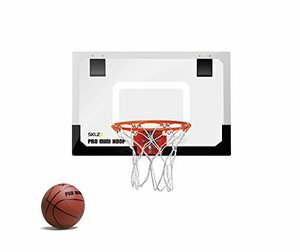 It doesn’t compromise when it comes to quality either, as it uses shatterproof polycarbonate for its backboard. It’s also very safe as it’s designed with a breakaway steel basketball hoop. What's Great About It: This toy can definitely hone your little one’s shooting skills as well as encourage physical activity. 9 years old is also a nice age for kids to learn how to play with a Rubik’s Cube. 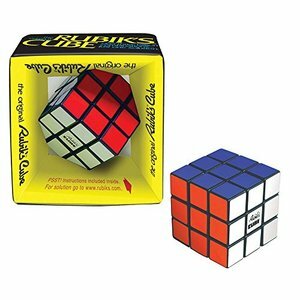 This 3×3 size makes it the perfect starter cube for your child as it won’t be too hard to solve but still challenging enough for him. What's Great About It: Rubik’s Cubes have always been favored as educational toys because they enhance children’s problem-solving skills and dexterity. Toys that will let your kid focus their energy on something fruitful is always a great pick, which is why the Blast Pad Missile Launcher by Marky Sparky is also an excellent option for your 9-year-old. This toy will let them stomp on a blast pad to see how high they can launch the missile. What's Great About It: This toy lets your son enjoy a fun game with friends as well as strengthen his leg muscles and improve his balance. It can also ignite a healthy competition among his friends. Choosing a good toy that will suit a 9-year-old may not sound like a problem, but if you want to give them something they’ll enjoy and benefit their development, you’ll need to think twice before heading to the toy store. At this age, kids are already starting to mature. Some may already have their hormones kicking in and they are capable of making solid friendships outside of the home. As they start to understand things better, they can now also grasp the idea of consequences and can be entrusted with more responsibilities. They can also get absorbed in activities that they’re really interested in, so it’s important to help them find what they like so you can focus their energy into something that can benefit their growth. All of these things matter when it comes to choosing a suitable toy for a 9-year-old. These developmental milestones can dictate what their needs are for entertainment, so it’s best to pay attention to them in order to find the best gifts that they’ll enjoy. Most experts recommend books for kids at this age because they can easily spend hours engrossed in a single activity. Teaching them the joys of reading can be a great way to encourage an excellent hobby that allows them to sharpen their imagination and expand their learning. Toys are still great options too because they offer unparalleled entertainment that can also help develop their skills and sharpen their brains. The twenty items listed above are just a few that are guaranteed to be great for kids at this age as they combine the promise of a great challenge and excitement for young kids. There are lots of toys that can help your nine-year-old learn while having fun. It’s just a matter of knowing what their interests are so you can get the perfect gift. Choose the ones that your child will enjoy so you can be sure to get the most out of your purchase.